Former American Film Institute (AFI) president and CEO, Jean Picker Firstenberg, will talk on “Women in Film and Television: Creating Paths, Sustaining Careers,” in a guest lecture series hosted by California State University, Northridge’s Department of Cinema and Television Arts (CTVA), on Wednesday Feb. 7, at 7:30 p.m. inside of the Armer Screening Room, located in Manzanita Hall room 100, at 18111 Nordhoff St. in Northridge. CSU Board of Trustees member and former AFI CEO, Jean Picker Firstenberg. 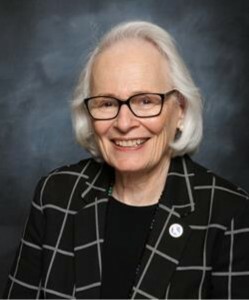 “Jean Picker Firstenberg is a wonderful, warm-hearted woman who cares deeply about education and has made a tremendous impact, first at AFI and now at the CSU,” Stahl said. “She has been at the forefront of preparing women to take on top creative positions in the film and television industries. “We’re absolutely thrilled to have her on campus leading a discussion exploring such issues as the huge difficulties women have historically faced breaking in, building, and sustaining careers in the business, the efforts led by her and others, such as AFI’s Directing Workshop for Women, to help break down the barriers, the current state of affairs in this regard, and what the future may hold for women in the business,” Stahl added. Speaking alongside Firstenberg are two CSUN alumni who hold professional positions within the field. Lynn Roth, a writer, producer and director, and who was one of the first students to attend AFI’s Directing Workshop for Women — in the same class as Anne Bancroft, Dyan Cannon and Randa Haines — and Revati Dhomse, a recent graduate whose senior project film is one of Stahl’s “all-time favorites and who is at the start of what I hope and expect will be a long and successful career,” he said. There is no cost to attend this event. For more information, visit www.csun.edu/mike-curb-arts-media-communication/cinema-television-arts/events/women-film-and-television-creating. For directions and parking details, please visit https://www.csun.edu/parking/visitor-parking-information.